From the outset of 2018, Otonomo chief marketing officer Lisa Joy Rosner had her sights set on surveying current and prospective owners of connected cars to get a sense of where they stood on data use and privacy. Willingness, that is, to share their personal data so that the driving experience in a connected car is safer and improved. The findings of a consumer study that Otonomo conducted along with Edison Research found that among the current and prospective connected car owners interested in various features promoting safe and more efficient driving — things like dangerous driving condition alerts and early detection of maintenance needs — roughly 80 percent were willing to share personal automotive data to tap into these features. As it turns out, they had faith in automakers to protect this data. “And when we asked them who they trust, between 71 and 77 percent trust their OEMs,” Rosner said during the call, which was on the eve of her presenting this data at the TU Automotive event on June 6. Rosner was also encouraged by the level of interest in connected cars. There was a significant overlap among connected car owners and those planning to buy a connected car. In fact, 46 percent of connected car owners intend on buying another one within a year, “which says, once you go connected, you want more,” she said. She sees potential momentum in this market, and statistics from an Acxiom and J.D. Power study bear that out. There will likely be over 190 million connected cars on the road by 2021, according to Statista data cited in an Acxiom infographic recapping a 2017 study it conducted with J.D. Power. Five years ago, there was about 20 million connected vehicles on the road, said Mike Perugi, automotive industry strategist/principal consultant at Acxiom. Perugi, who will be presenting on “Connected Services: The Point at Which Automotive, Financial Services & Insurance Intersect” at next month's Automotive Intelligence Summit, defines a connected vehicle as one that has any two-way connectivity, either through an app or an embedded device like OnStar. Connectivity and its applications have become broader over the years, Perugi said, agreeing that consumers tend to expect it now. “If you look at the way most vehicles are today, they’re either wired or blackboxed with connectors, and they’re able to provide whatever connection or app or what I like to term, ‘other car concoction’ is created,” he said by phone. And for the most part, those companies are highly trusted by the consumer. Going back to the study from Otonomo and Edison, it found that consumers will share personal data with an organization, albeit carefully, provided that party is transparent and emphasizes security. “For connected car companies to continue earning that trust, they should communicate the purposes of such data collection and use, and incorporate privacy choices and safeguards,” Smith said. Furthermore, when survey participants listed a specific automaker as the “most trustworthy,” they most frequently noted a personal experience and the reputation of that automaker. Of course, this trust around data sharing comes with caveats. One of which is the fact that trust must be earned. “While consumers say they want the types of services that require them to share personal data, automotive OEMs and other data collectors must take steps to earn their trust,” Rosner, the Otonomo chief marketing officer, said in the news release. 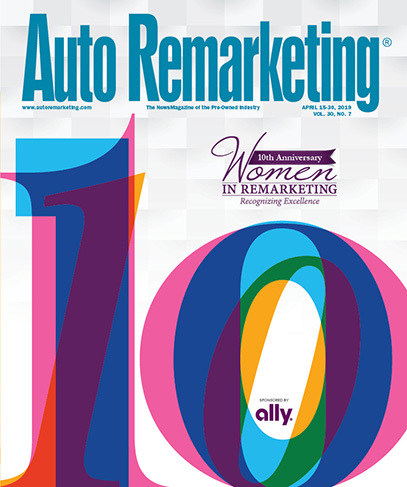 “Our study underscores the importance of a clear consumer consent processes; transparency about how automotive companies are using and securing automotive data is vital to maintaining customer loyalty and trust,” she said. And the Acxiom study further emphasizes the consumer demand for data security, along with the possible room for improvement. Their study showed that 63 percent of consumers were willing to share data to get a 20-percent (or less) discount on a lease, with 22 percent saying the same for a discount of 10 percent or less. Despite this willingness, data security is an area to possibly shore up, says Perugi of Acxiom. “I would say, right now I do not think either the consumers or for that matter, the dealers and the OEMs are thinking in terms of privacy, since if you look over the past couple of years, there have been some breaches by some of the supplier companies who manage some of this industry information,” Perugi said. “And in my opinion, while companies talk about the security, they’re only talking about it in terms of their immediate internal systems, either at the corporate level, the vehicle level, and for some of the dealers, their respective DMS or dealer systems,” he said. “In fact, I’ve had some dealers tell me that their idea of security is locking the F&I office at night, where most of the secured information resides. So, in the study that we did … there was one area, data security, that resonated across the board under each segment of buyers very consistently,” Perugi said.